Are you a left- handed golfer finding it difficult to perfect your game? Then don’t despair, instead consider yourself as some of the incredibly lucky ones. And if we look at records and statistics it is the lefties who have won maximum tournaments in the recent years. Though the world has many promising and budding left-hand golfers, many are still trying to perfect their stances and swings. The most problematic being the left handed golf swing. Do invest in a good quality golf set with a perfect set of left handed golf clubs. There are special stores both online and offline which cater to all the needs of left-handed golfers- for men, women, and children. So, research the best brands and find out from other left-handed players about the feel of various sets before you take the plunge. Always remember the left-handed golf swing is the mirror image of the right-handed golf swing. Once you learn to ape right handed professionals keeping this technique in mind learning and picking up the game will be a cakewalk. Strengthen your grip. Work hard and diligently on improving and strengthening your grip. This will go a long way in perfecting your swing. Most left-handed golfers have a weak club grip, which most often results in a slice. To prevent this you have to grip the club firmly and make sure that the club goes across the left palm from the bottom of the index finger to a little above the little finger. Also ensure, not to move the grip to your fingers. 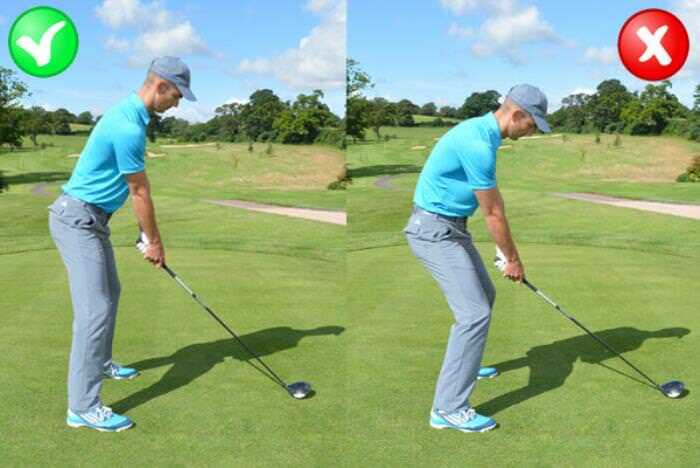 This action can cause a hurried swing, which will result in a hook. 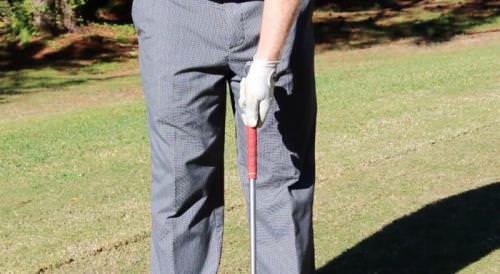 Instead gradually move your grip deeply into the palm to enable a slower and more deliberate swing. Playing left-handed golf is a challenge by itself and to cope up all the time does become difficult especially when you see your right-handed counterparts who never seem to be having any problems whatsoever. But whatever you do don’t ever make the mistake of playing golf the same way they do. Some players give up and try to reverse their way of playing and try to become right handed golfers. This will only lead to complications and you will end up more confused and frustrated than ever before. You have to show lots of grit and determination and develop your own strategies and techniques to master the game in your own special way. 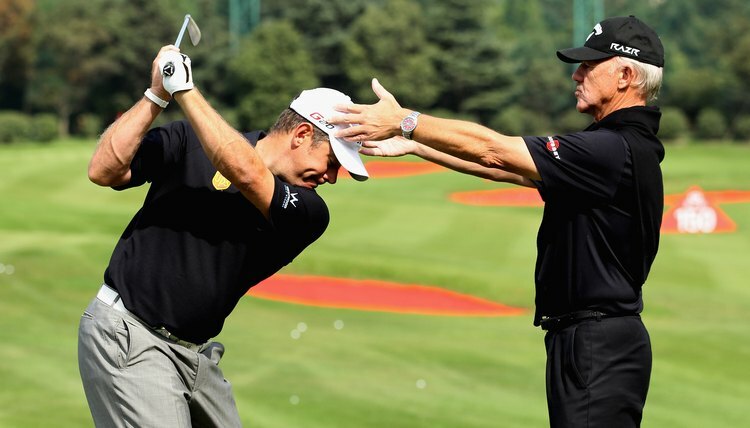 Most of the times due to lack of professional instructors many left-handed golfers settle for right handed coaches. This can be an exasperating experience for both the instructor as well as the student. It is always advisable to find a left-handed instructor whom you can easily observe and learn. Following instructions also is less confusing and doesn’t seem complicated at all. 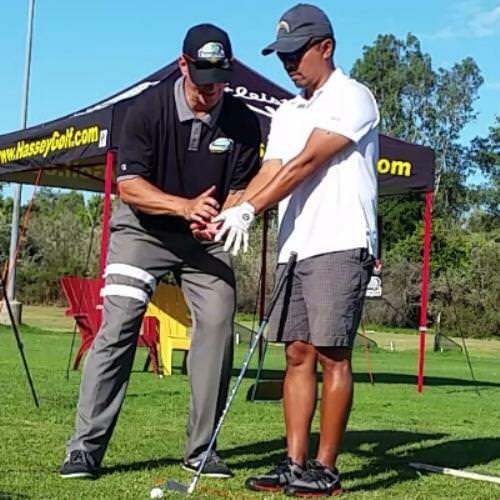 To start the search for the right left-handed instructor it is always better to get in touch with the professionals at local golf courses and golf retailers who turn out to be excellent sources for finding the exact kind of instructor you are looking for. Have you been looking for the right tutorials and guidelines to get a hang of your swing? Mastering the technique of the ideal swing can be the ultimate goal for all left-handed players. This is a challenge that can be easily attained by following proper instructions and a lot of practice. Then, look no further. Just read ahead and you will find some really helpful ways in which you can take your swing to the next level in spite of being a left-handed player. The first and also one of the most important steps to mastering the ideal swing is to have complete control over your thoughts. An optimistic and positive approach towards making contact with the ball with the perfect shot is the primary and most essential one for a good and strong golf swing. Left- handed players have to keep their focus and thoughts entirely on their stance, swing, and shots. For both left handed or right handed players, this basic technique remains the same. The mechanics of the golf swing can be perfected by first practicing holding your left handed club. Practice hard and practice accurately. Any golfer whether amateur or seasoned must put his head down, until the time the swing is completed. Lifting up your head to watch the direction of the ball before the swing is complete can ruin the entire swing. An ideal posture would comprise of correctly positioned arms, legs, and back. Maintain a proper alignment helps a lot in achieving a good swing. Never overlook the positioning of the arms. This posture should be consistent every time the player takes a swing. A slight bending of the arms is also recommended. It is of utmost importance that the golfer distributes his weight evenly on each of his feet. This prevents any kind of strain or injury to the back while swinging. It also helps the player to keep his balance and focus completely on his swing without any feeling of discomfort or awkward positioning. 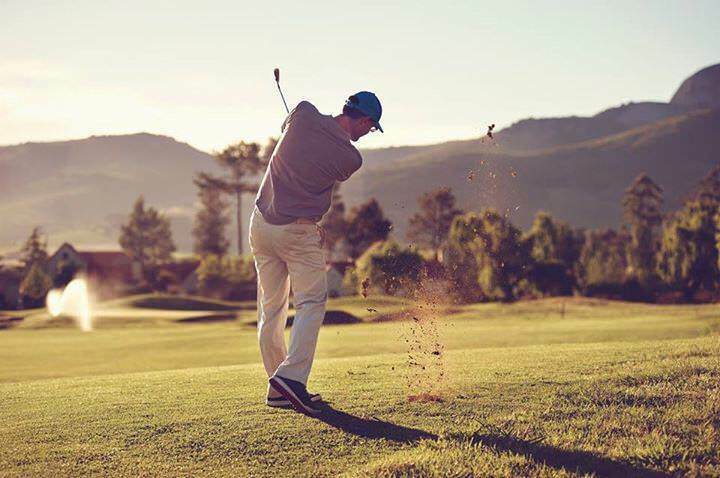 At the end of the swing, it is advisable that the golfer’s weight should be on his right foot while balancing on the left toe as he faces the ball. The swing plane should always be circular in nature. Maintaining the direction of the swing plane is important as this is the line that the club draws in the air as it is being swung. The golf club must be kept on the same circular plane throughout the duration of the swing. Fully rotate your hips and body towards the right to be able to swing with full power. The hands will automatically follow in the direction that the hips lead. Your right should always lead the swing and the left hand should finish it. This is the most crucial part for all left handed golfers. Remember to turn your body so to let your golf club do the work. The right way to do this is to turn your back with your hips and legs so it positioned towards the target. Your chest should point in the opposite direction during the backswing. Also, note that at the top of the swing the left arm must be still extended as the club comes to rest on the shoulders. This is the part when the player needs to let the club do the work. All you have to do is maintain a gradual and steady tempo without any jerky movements, remember to keep your head down too. Never end your swing on your heels or flat footed. Left- handed golfers especially must swing on the balls of their feet to ensure utilizing complete power achieved by the complete rotation of your hips. Going through the entire sequence in an absolute foolproof and proper way is vital for all left-handed golfers. They need to understand and make a note of the fact that it is a proper sequence of movements owing to the left arm in the course of the golf swing that will establish a successful connection with the club with the ball with complete power. The more the courses you play on the more experienced players will gain. The most common hurdles that left-handed players face is certain types of holes called dogleg holes. To master playing shots on these holes perfectly players have to learn how to hit a draw shot. In this shot, you hit the ball in such a way that it curves from right to left. No one has mastered any game just by reading about the tips and techniques. The only way to get a hold on your swing is to practice. Every player needs to train and practice the techniques of the game with concentration and diligence before he can master them. It is a known fact that some of the best shots are hit when the players are centered and positioned directly behind the ball. The impact in such cases is stronger and much harder too. For more power and to keep a check on the slice and produce a really good shot, a handy tip for left-handed players is to concentrate and focus on hitting the inside of the ball. This ensures a clean strike and ensures that the ball crosses a greater distance. As with any other outdoor game, being physically fit is as important for golfers as it for any other game. Exercising all parts of your body, building up endurance and other fitness targets have to be set to be the best in your chosen sport. Consistency is very important in any game including golf. More so for left- handed players as you need much more practice than your fellow right-handed golfers. To hone your swings, you have to play regularly and consistently. Unless you put in the extra effort mastering the ideal swing is just not possible. For tweaking up your game, will need you to take some extra pains like reading up more about tips, techniques and instructions to improve your swing, watching videos and tutorials on swing and game improvement techniques, watching live tournaments where you get to see real life left-handed champions playing on courses across the globe and finally working regularly with your instructor to understand and master all the fine and intricate nuances of each and every step in the sequence of master the left-handed swing. 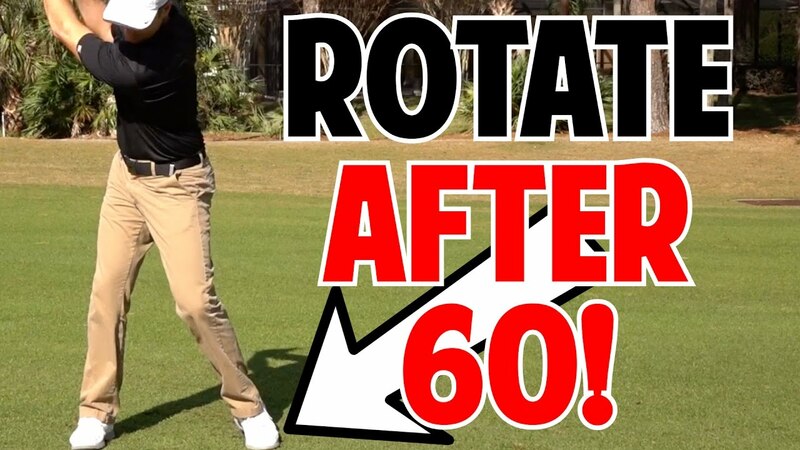 Click on these links to watch some videos on how to better your left-handed golf swing. Following these tips & guidelines will definitely work towards all left-handed golf players to become absolutely professionals. Hope you found this article useful and I am sure these steps and tips will help you improve your swing and your entire game too. Do share your views and thoughts about this article in the comments section and if you liked it do share it will other fellow left-handed golfers and help them improve their swing too.